To reconcile the individual products sold in your weekly settlement report, please complete the following steps. Step #1 - Download your weekly settlement report from SHOP > ORDER MANAGEMENT > SETTLEMENTS > SELECT SETTLEMENT > ACTIONS > EXPORT. 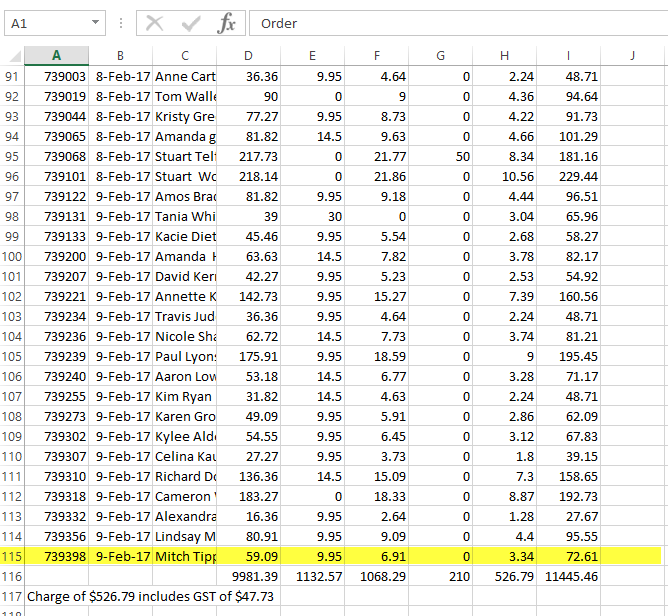 Once exported please calculate how many orders formulate the settlement (ie scroll to the bottom and see how many lines of data there are, then remove one for the headings line). *There are a total of 114 orders in this settlement report. 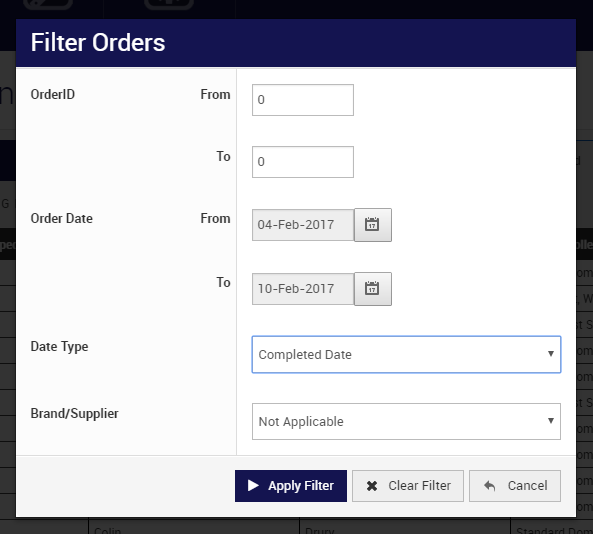 Step #2 - Go to ORDER MANAGEMENT > ORDERS > SHIPPED > CLICK THE FILTER ICON (funnel). Only 'shipped' orders are settled to your bank account. Marking an order as shipped in the system is the trigger we need to give you the funds from your orders. All orders contained within a settlement were marked as 'shipped' during the previous 7 days. STG's settlement period runs from Saturday through to the Friday marked on your report. Therefore we need to find all of the orders which were settled during that period in order to reconcile the products sold. Please Note - it is not connected to the order date (ie the date the person placed the original order). It is purely connected to the date range the orders were marked as 'shipped'. In the DATE FILTER area please select the date as the previous Saturday - Friday (settlements are always dated on Fridays, therefore please select from the previous Saturday to the date on the settlement report). In the DATA TYPE area please select COMPLETED DATE (ie the date you marked the order as 'shipped' which is the point in which the funds were triggered for settlement). Then select APPLY FILTER. This will list all of the orders which were completed within the identified settlement period you are trying to reconcile. The total number of orders displaying in this list should be the same number you identified in your settlement report during step 1. *There are a total of 35 orders which were marked as 'shipped' and settled to our bank account during the settlement period I am attempting to reconcile in step one (please note how both of these numbers match). Step #3 - Click ACTIONS > EXPORT > TEMPLATE = LISTING > EXPORT. This will export a .csv file which documents all of the orders you date filtered above and breakdown the individual items sold in each order (refer to column AC in the export). You can then filter the product column and calculate the individual items sold during the settlement period you are reconciling.